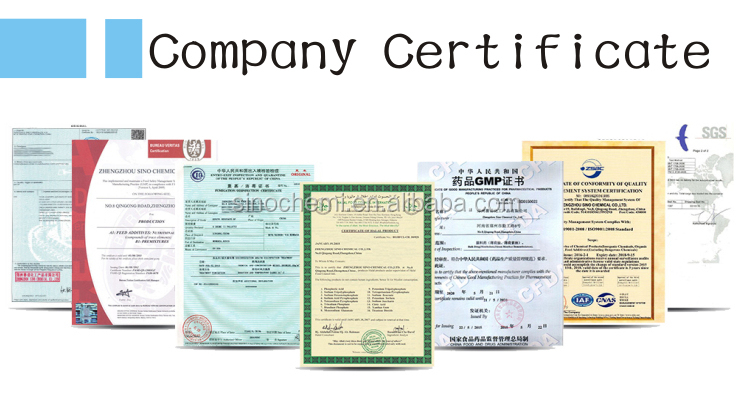 Form: Granular, Powder, Granular and Powder Mixed, Tablet. Appearance: White or Light Grey. 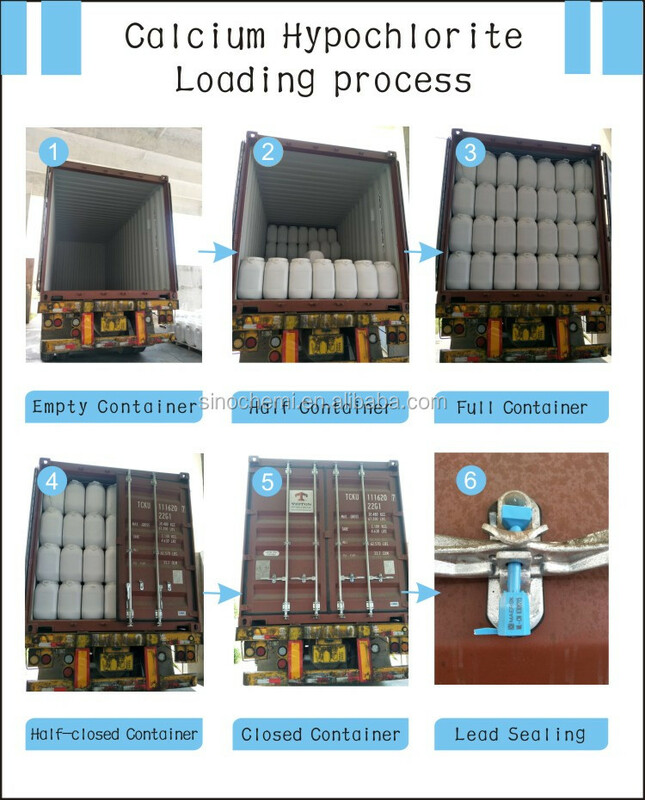 2.Particularly good stability, can be stored for long under normal temperature, little efficiency content loss. 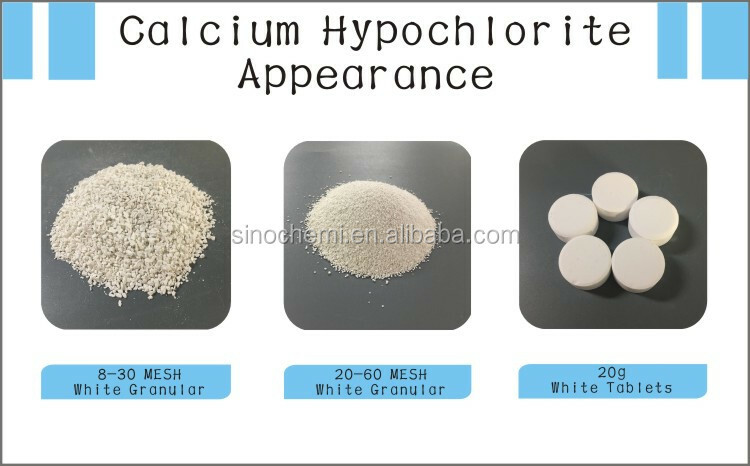 3.High solubility, easily dissolve in water to form high concentrate bleaching solution with little undissolved substance. 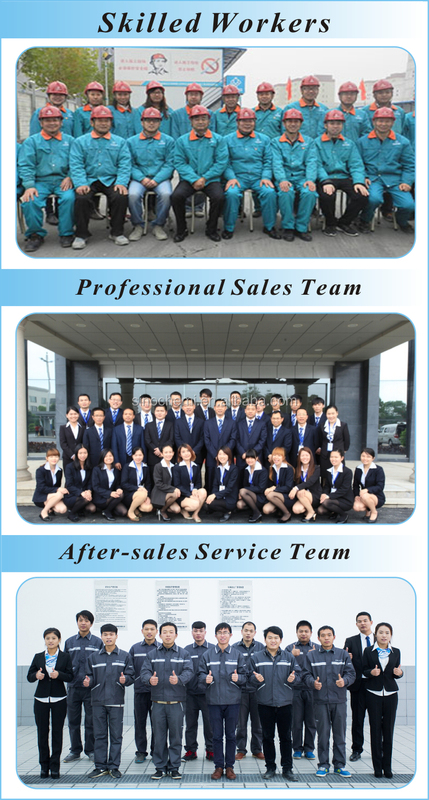 a) Bleaching of wood pulp, cotton, hemp, silk, cloth, fiber etc. 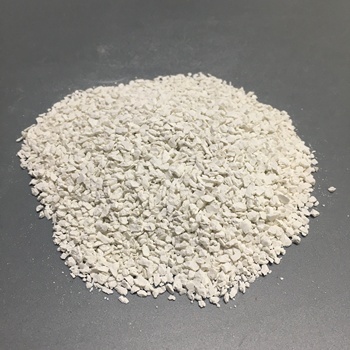 c) Used in the anti-shrinkage treatment of wool, bleaching of textiles, and used as chlorating agent of rubbers. 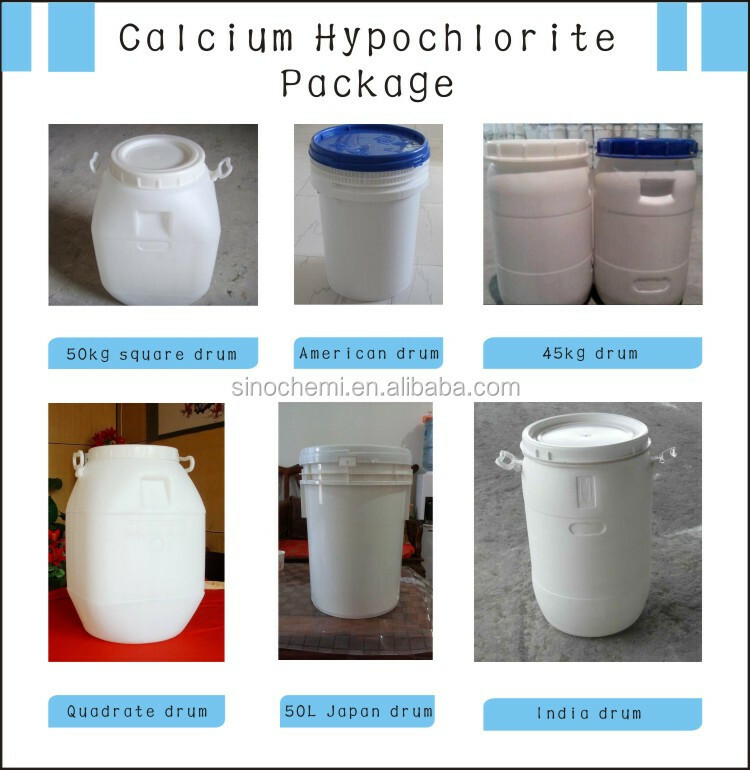 3.Swimming pool: Taking a 100CBM swimming pool,for example,the start-up dose is 500 grams,then the daily dose is 150 gram.And shock dose is 1.0-1.5 kilogram. 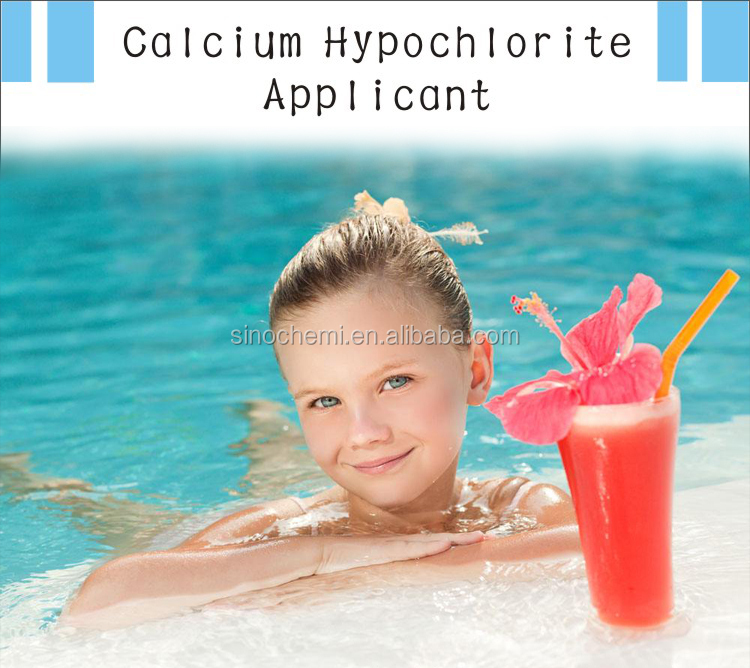 Calcium Hypochlorite is a strong oxidant.Should be stored in dry, cool and ventilated place; avoid insolation, fire and heat; do keep it from mixing with organic substances, acids ,oil or reducing agents.when the package is broken and scatters, fast collecting and airproofing the product in time, if the skin be touched with it ,fast washing with diluted ammonia solution. Put out a fire with yellow sand, carbon dioxide and foam, don't use ordinary vitriol fire extinguisher.